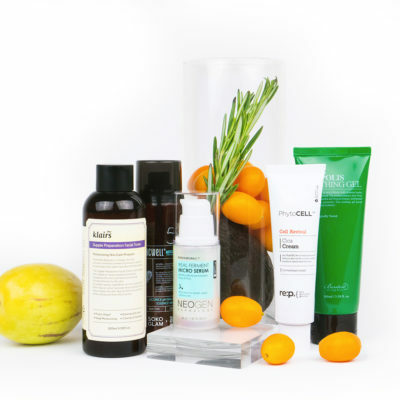 Wondering how to layer acids in your skin care routine? You’ve come to the right place. The skin care world can be separated into two different types of people: those obsessed with exfoliating and those who are aren’t. Joking aside, exfoliating is such an important part of your routine because it helps to clear pores, prevent acne, and keep your skin smooth. Exfoliating comes in two different types: physical or chemical. Physical exfoliators can also be thought of as manual since they use ingredients like sugar to slough away the dead cells on the skin’s surface. Chemical exfoliators are bit more complex which is why we’re going to focus on how exactly they work and how to layer them for effective results. We’ll also answer two of your most asked questions: Can you use AHA and BHA in one routine? And what about your vitamin C? Acids? Chemical exfoliators?! They can sound intimidating because putting acids on your face doesn’t really seem like a good thing, but they’re actually not as scary as you think. Chemical exfoliators are gentle, low percentage acids that help to exfoliate your skin by deep cleaning your pores. They work by loosening and getting rid of all the gunk (think: sebum, dead skin cells, etc) lurking under the surface. Not to mention, they help keep acne at bay and can even smooth out fine lines and wrinkles by increasing collagen production. There are many different types of acids and they are usually separated into two categories: AHAs or BHAs. 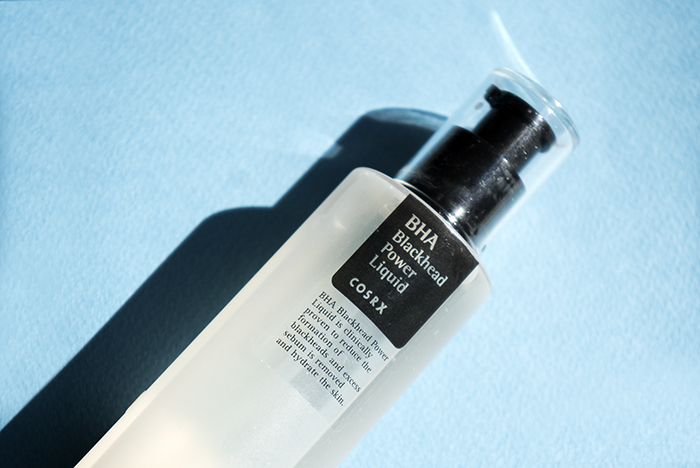 BHA refer to beta hydroxy acids like salicylic acid (one of my favorites is the Cosrx BHA Blackhead Power Liquid) and alpha hydroxy acids, like glycolic acid (the Cosrx AHA 7 Whitehead Power Liquid is a great inexpensive choice). 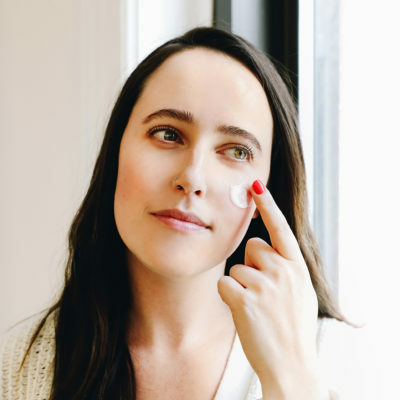 There are even a new generation of acids called PHAs, which are polyhydroxy acids that are great for more sensitive skin types. This is because they have larger molecules that aren’t as irritating on the skin. 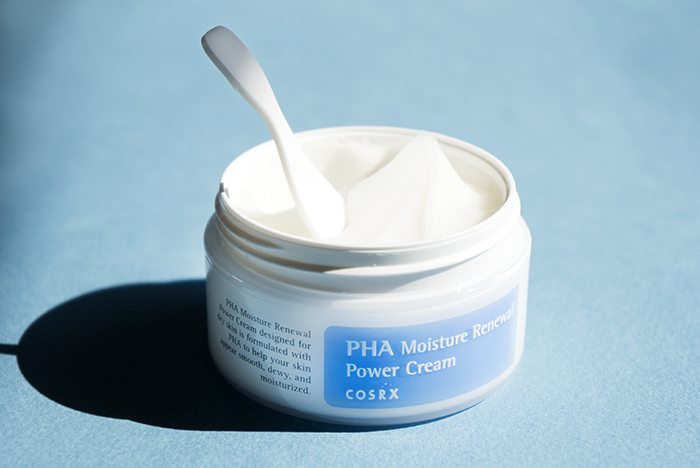 If you’re interested in giving PHA’s a try, the Cosrx PHA Moisture Renewal Cream is gentle and moisturizing. Can I use AHAs and BHAs together? With all the benefits of chemical exfoliants, it’s no surprise you’d want to use them together to (hopefully) get an even better effect. But more doesn’t always mean better. 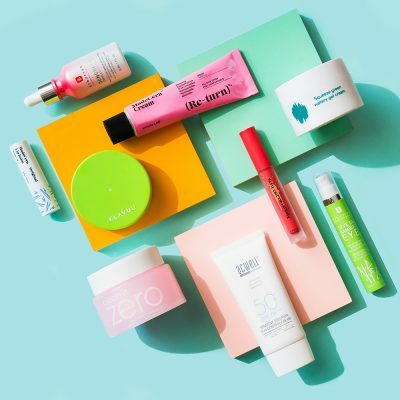 You don’t actually need to layer your chemical exfoliants! 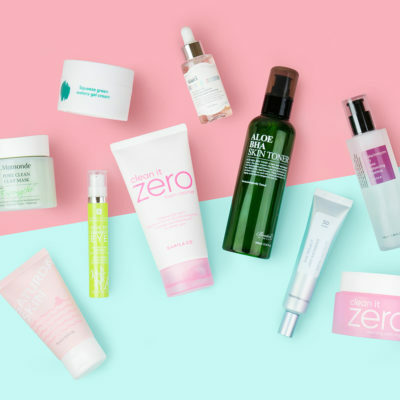 In fact, dermatologist Joshua Zeichner advises against it “as combining them may cause skin irritation.” But there are those who want to use multiple actives in their routines because they work better for their skin type. Remember, everyone’s skin type is different so layering acids may work for one person, but it doesn’t mean you have to layer them to get the best effects. They will also work perfectly fine on their own. To answer this commonly asked question though, let me start by saying chemical exfoliants are finicky since they have to be formulated at a certain pH level in order to work effectively on the skin. pH is essentially a scale of measure that tells you how acidic a product is. At rest, your skin is at a pH of 4.2 to 5.6, which means it’s more on the acidic side. Your skin remains at this pH to defend itself from bad bacteria which thrive in more alkaline conditions (pH of 10.5-11). “The pH of the skin affects formulations in that they have to be active in that environment and not be degraded on contact then pass through this outer layer and exert efficacy,” says dermatologist Kavita Mariwalla. Plus, using products that complement the pH of your skin will help to keep your skin’s natural barrier intact and protect it from transepidermal water loss and other environmental irritants. So, just as the pH of your skin is important to keep in mind, the pH levels of your acidic products are just as integral to your routine. Acids have be formulated at a specific pH in order to effectively penetrate the stratum corneum (aka the outermost layer of the skin). If the pH is off, they won’t exfoliate as well because they will have a reduced barrier permeability. BHAs have to formulated to be a pH of 3.5 and AHAs have to be formulated at a pH of under 4. In order to get the most from your exfoliants, you’ll want to layer your acids from the lowest to the highest pH. BHA’s, like salicylic acid, are oil soluble which is why they’re usually marketed towards those with oilier skin. AHA’s are water soluble and actually help to moisturize the skin making them great for drier skin types. The takeaway is that you’ll want to use your BHA first, not only because it is lower in pH but also because it is oil soluble. I like to think of layering acids like double cleansing. Just like you use a oil cleanser first because oil attracts oil, you’ll want to go in first with that oil-soluble BHA. 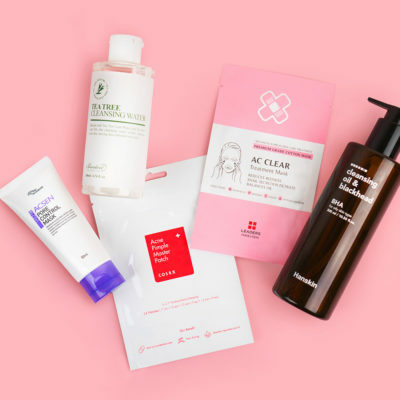 Then you’ll want to follow up with a second cleanse of a water or foam based cleanser to get rid of everything left behind (in this case, I mean your water-soluble AHA). In this regard, they can work in synergy to effectively deep clean your pores. What if I want to use an AHA/BHA with my vitamin C? Vitamin C has be formulated to be a pH of under 3.5, which can have exfoliating effects on the skin. Vitamin C is much more difficult to formulate, not only because of the acidic pH but also because ascorbic acid is notoriously prone to oxidation. If you’re planning to use a vitamin C, you’ll want to make sure it’s the right pH. 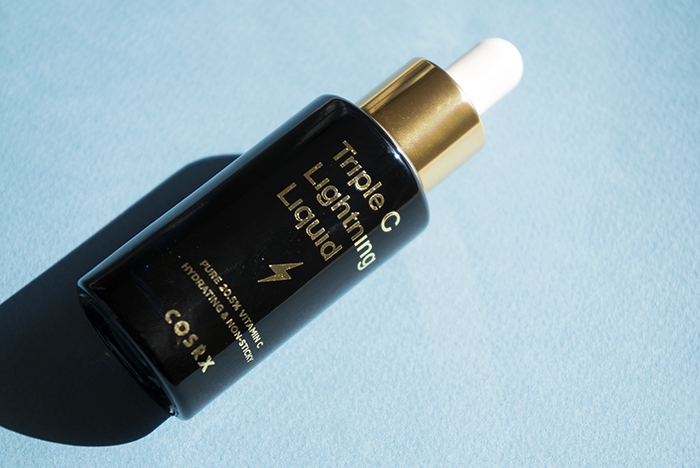 The Triple C Lightning Liquid is a good example since it has a low pH and there is no water in the formula, allowing it to be more stable than other ones. 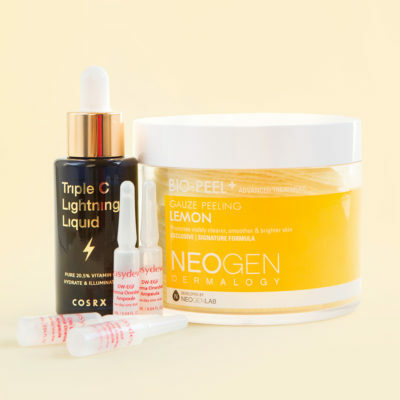 It’s important to layer acids correctly here as you want to make sure you’re getting all the fabulous effects of vitamin C and not have them decreased by AHAs or BHAs. Just like with AHAs and BHAs, the same rule applies: You want to layer from lowest to highest pH. So, if you were using all three, they would go in this order: vitamin C, BHA, and then finally AHA. +What are your tips on how to layer acids in your skin care routine? Share them in the comments!